The classic English dessert that's made with dates and a buttery toffee sauce. Preheat oven to 350 degrees F. Coat a 12-cup Bundt pan with non-stick flour-added cooking spray. Combine water, dates and baking soda in a medium saucepan and bring to a boil. Remove from heat; cool completely. In a medium bowl, sift together flour, baking powder, and salt. Using an electric mixer, beat 1/2 cup butter and granulated sugar in a large bowl until light and fluffy. Beat in eggs 1 at a time. Mix in vanilla and half of flour mixture, then date mixture. Blend in remaining flour mixture. Pour batter into prepared pan. Bake at 350 degrees F, for 45 minutes. MEANWHILE, make the sauce: bring cream, brown sugar and 1/4 cup butter to boil in a medium saucepan over medium-high heat, stirring frequently. Reduce heat to medium-low, and simmer sauce, stirring occasionally, about 15 minutes. Set aside. When cake has baked for 45 minutes, pour 3/4 of the caramel sauce over cake; continue baking for an additional 15 minutes. Cool in pan 10 minutes. Invert cake onto platter. Cool for about 30-40 minutes. Serve this warm, with remaining (warm) caramel sauce, and some vanilla ice cream. 16 comments on "Sticky Toffee Pudding"
Oh Emilie! I love you. Sticky toffee pudding is my ABSOLUTE favorite dessert. It has the most amazing texture and flavor. It is the cross between a cake and a pot de creme. Love the smoothy silkiness - then you add the custard and you can't go wrong! Luckily for me, it is hard to find - therefore I don't eat it very often and it is SUCH a treat when I do! Oh and I am totally with you on the date thing - when I found out it was in STP, I knew why I loved it so much! That's so funny that you mention the ice cream, because I saw a thing on tv awhile back where they had a contest where people could create a new ice cream flavor and that was the one that won. I had to go out and buy some after that!! 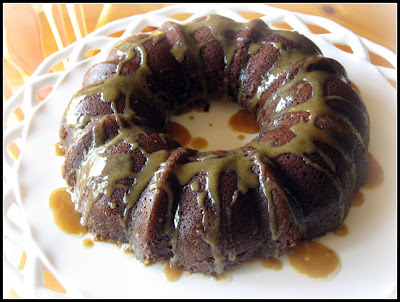 I've actually never had real sticky toffee pudding before, and now I want to make it! Your pudding looks scrumptious. I also love dates and feel we should use them more often. As a matter of fact I have some in my pantry right now just waiting to be used. I'm glad I have this recipe now! I just made something that is a cross between a pudding and a cake. I used chocolate cake mix and pumpkin. It was interesting but I think the two bold flavors sort of compete with each other. I'll post it soon. Wow do I ever love Sticky Toffee Pudding. Seriously one of my favorite things. Thanks for the recipe! Jenn- I love you too! From the way you describe sticky toffee pudding, I'm wondering how traditional mine is. It seemed awfully cake-like. Gloria- Thanks! I'm going to head over to your site right now. Deb- I know that contest. If they have it again, I'm going to enter it. I have a bunch of flavors in my head. Annie- I'm glad you noticed my Monster Mash music. Maybe we should have "date" week, and make stuff with dates in it. Your chocolate/pumpkin cake sounds good. I'm not sure I love pumpkin chocolate together, but if someone served me something with it, I'd eat it without complaining. 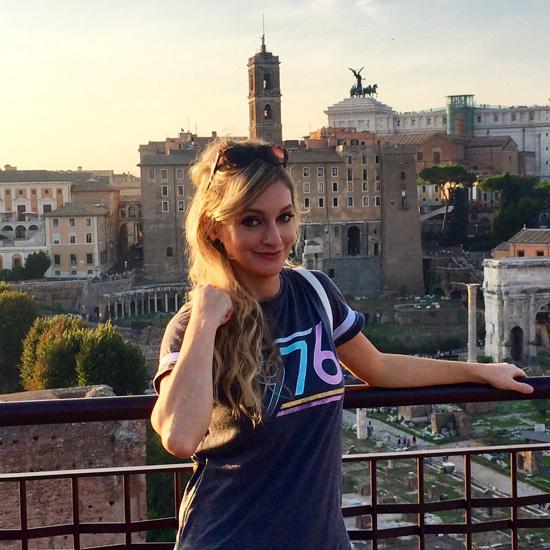 Emiily- Thanks for stopping by! I keep wanting to call you Suzy. I only ever tasted Sticky Toffee Pudding when the ice cream flavor won, just like Deborah. I have a package of dates that I bought half off after Christmas. They have been sitting in my fridge for three years. And I took them when we moved from our apartment to our house, so that means they are at least 4 years old. Do you think they go bad? I refuse to throw them out. And any date would be lucky to have you! PS I voted on your ice cream poll for the 700th time. Peanut Butter Cup is beating Vanilla?!? It's an outrage. PPS Your word verifications are getting harder. Yummm Emilie! I don't believe I've ever had sticky toffee pudding, I think it's about time I try some! Sue- Thanks! Are we talking the fruit date or date-date? There's not a date-date in sight. I like peanut butter cup, so I hope it beats vanilla. I like vanilla, too. I'm thinking about taking the word verifications off, but I don't like those spooky SPAM messages. Jenny- You should make it for your next dessert. Maybe Christmastime (Is Christmastime one word? Christmas time. Christmas-time) would be good. You know that's my favorite ice cream don't you?? I told you that once before. I am totally in awe and a little in love with you right now!! I can't wait to make this. Although I do not love dates (not dates - dates!) Can I leave them out? Julie- I think you did tell me it was your favorite ice cream. I like it too. Don't leave the dates out. When you cook them with the water and baking soda, they break down....almost into mush. When you take a bite, you won't taste the dates. You won't even get a bite of date. I think it just provides a deeper flavor to the pudding, and some extra sweetness and moisture. Val- I already knew there was something wrong with you. 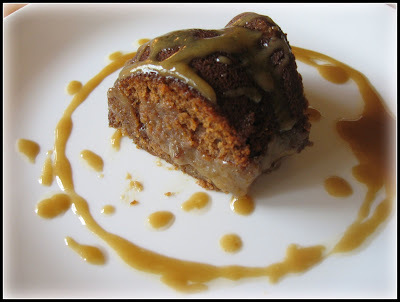 I love the idea of eating some sticky toffee pudding (perhaps right now, for breakfast), but have never made it. OMG - I have never had sticky toffee pudding before, but this is DIVINE! My husband read the recipe, complained that there were dates in it, then tasted it and acknowledged that he'd have never known and that he loved it - so much so that he ate all the leftovers and didn't save any for me! I'm making a second batch already.